Dubai, United Arab Emirates. 15th October, 2014; The world's highest public outdoor observation deck opened today in the Burj Khalifa tower in Dubai. At level 148 in the tower and at a height of 555m, At the Top Sky is 23 floors higher than the existing observation deck and offers visitors special VIP lounges during the visit. 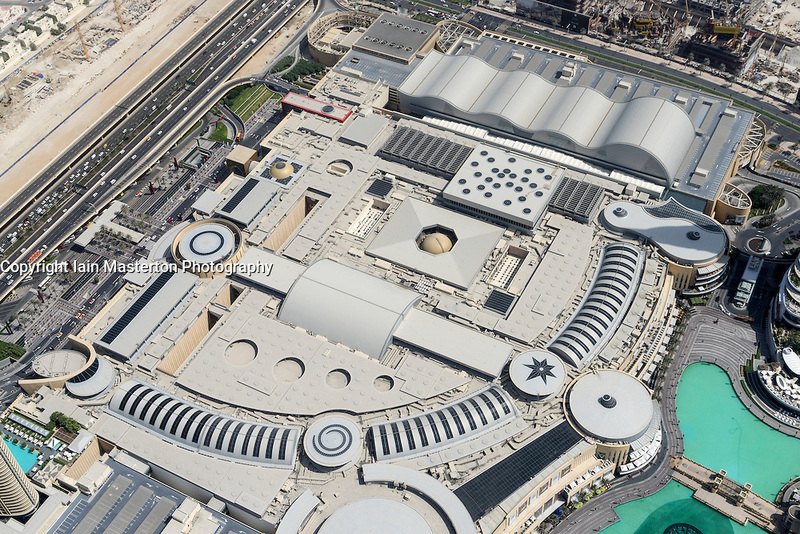 This view shows roof of Dubai Mall.